I realize the title 10 Reasons You Will Never Get out of Debt might sound a little harsh, but I wrote it that way for a reason. 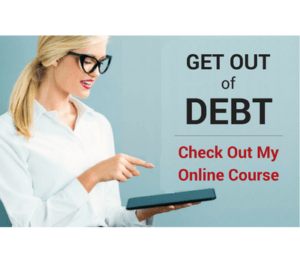 I’ve been teaching people how to manage money better and get out of debt for over a decade now, and I’ve seen a pattern of behavior in many people that I believe is totally counterproductive to becoming debt free. The idea for this post started a couple of weeks ago. I was having a conversation with my pastor and a very successful business owner about why so many people have a mentality that is resistant to change. We all agreed that if more people could just see the forest for the trees, so many more would experience the success and abundance that we have been able to achieve. Instead, they tend to stick with what they’ve always done and continue to get what they’ve always been getting. As a result, they never experience the incredible bounty God promises. They continually stand in the way of Him being able to provide that blessing for them. So when I counsel someone about their finances through email, in person, or through any other venue, there are certain things I look for. These are sure signs that predict whether they will never get out of debt, or they will be successful at getting rid of debt forever. When I see one (or more) of these signs, I automatically start to cringe; partly because I’ve been guilty of some of these myself in the past. Mostly, I’m concerned because no matter how much somebody says they want to improve their finances, they will never get out of debt until they overcome these challenges. When it comes down to it, change is hard. The only people that truly succeed at doing better financially are the ones that are willing to step out of their comfort zone and fully commit to change their habits, thoughts, and actions with money. I get emails constantly from people saying they would love to buy my book or my course, but they just can’t spend the money. I definitely understand that money is tight and there is little to no wiggle room. I’ve been there and it’s not a good place to be. One of the most important things I teach is to ditch the credit cards for good. Too many people think they can get out of debt and still play with the fire that burned them in the first place. Solution: You’ll never get out of debt by continuing to dance with the one that brung ya’! Learn to be different than all the other broke people out there and cut up the credit cards for good! 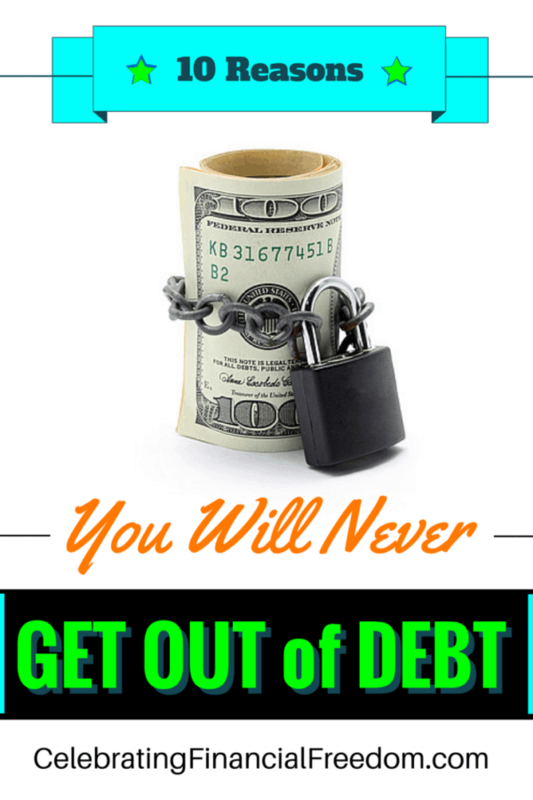 10 Reasons You Will Never Get out of Debt- Are you guilty of one of these? 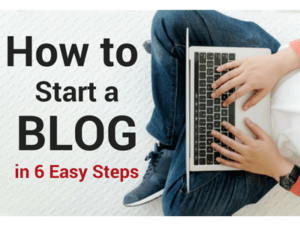 So you think doing a written budget is not for you? After all, you’re not a numbers person and budgets are just confusing! Never mind that there is no way to know where all the money goes unless you’re keeping track. 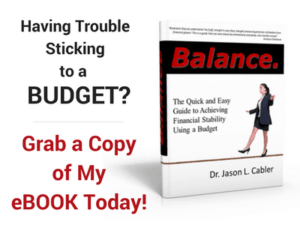 So how do you plan on eliminating debt if you don’t know where you’re money is going? Solution: Seriously, you must to have a plan if you want to succeed at getting out of debt. It’s only third grade math- you can do it! Otherwise, you will keep wondering where all the money goes and you will never get out of debt! We’ve all gotten used to the mentality that we can have whatever we want right now. In a world of fast food, movies on demand, and two hour deliveries, we think everything should happen more quickly than it should sometimes. But when it comes to debt, it takes time to make a plan and pay it off for good. Sometimes it takes months, sometimes years. But if you want a quick fix to your problems, you will never get out of debt because you have an unrealistic expectation of how much time it takes to get the job done. Solution: Learn to be patient and take it one step at a time until you achieve your debt free goal. Changing your ways financially usually requires some sacrifice on your part. You may have to cut back in some areas of your life for a while so you can work on fixing your finances. You may have to sacrifice some things you’ve grown accustomed to such as eating out 5 nights a week or expensive entertainment options. Solution: Changing behavior means you have to start doing things differently. You will be surprised that when you make sacrifices to form new habits, they quickly become as normal as the old habits once were. To be successful, you have to make the necessary sacrifices. One problem that I see often is the unwillingness to admit to financial mistakes. Many people come to me for advice on how to fix their particular problem, but they don’t want to admit that what they’ve been doing is stupid. So they continue making the same mistakes and getting the same results. Solution: When you make a financial mistake, own up to it and make sure you don’t do it again. Making the same mistakes over and over means you’re just not trying. Sometimes people are not willing to tell the whole truth about their finances. You have to be willing to lay it all out on the table and deal with the consequences. It can be hard to admit to yourself (or your spouse) that things are out of control financially. Maybe it’s a secret credit card you’ve been hiding from your spouse. Or a lack of self-control or spending addiction you haven’t been willing to confront. Maybe it’s just a lack of motivation (laziness). Whatever the problem may be, you have to be truthful if you want to solve your financial problems for good. Solution: Tell the truth and let the chips fall where they may. You’ll never get out of debt by deceiving yourself and others. It never ceases to amaze me the number of people who seek help with finances, but never do anything with the advice they get. I’ve spent hours talking to, emailing, and meeting with people who never take the advice they are given, and are still in the same terrible financial situation years later. This happens because the vast majority of people aren’t truly willing to listen to someone that’s been in their position and done what it takes to fix it. Solution: The few who are willing to listen to the hard truth and implement it are the ones who succeed. You’ll never get out of debt if you’re not willing to listen to others who have experienced what you’re going through. Listen to people who know what they’re talking about. Feeling relieved because you just got paid, or nauseous because it’s three days ‘till payday is no way to live. You have to develop a long term view of your finances if you want to achieve financial independence. Learn to look ahead months, years, or even decades into the future and envision what you want your life to look like then. Solution: Making a solid financial plan using a monthly budget and yearly goals helps you think long term. A great plan eliminates the daily (or weekly) frustrations that result from flying by the seat of your pants. Too many people want to place external blame on an internal problem. You’re not living paycheck to paycheck because of the President, the economy, or who’s in Congress. You’re not behind on the credit cards because the big banks are out to get you. If you have the typical consumer debt that most people have, you’re in debt because of your own choices. Solution: Educate yourself and take responsibility for your finances because you are the one that is ultimately responsible for your financial well-being. I realize that some of the points in this article may seem a bit harsh at first glance. Honestly, they were meant to be. It’s far too easy to fool yourself into believing that debt is just inevitable or that the debt you have is not your fault. Sticking your head in the sand just doesn’t work. At some point you have to take total responsibility for your finances if you ever want to succeed financially. You’ll never get out of debt by living in denial. So if any of these 10 reasons hit home with you, reevaluate your thinking and your actions with money so you can move forward financially. Question: Did you recognize yourself in any of the 10 reasons above? Tell me which one hits home with you and what you can do about it. Leave a comment on our Facebook page or in the comment section below.